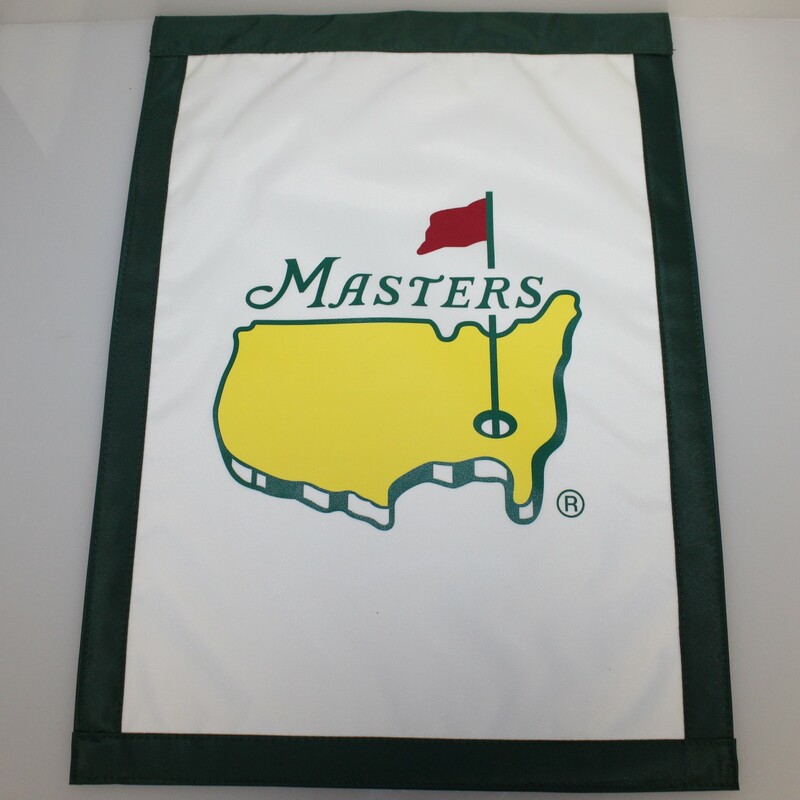 This green and white garden flag comes from the merchandise pavilion at Augusta National, and is signed by two of the greatest golfers in the history of the sport, Arnold Palmer and Jack Nicklaus. 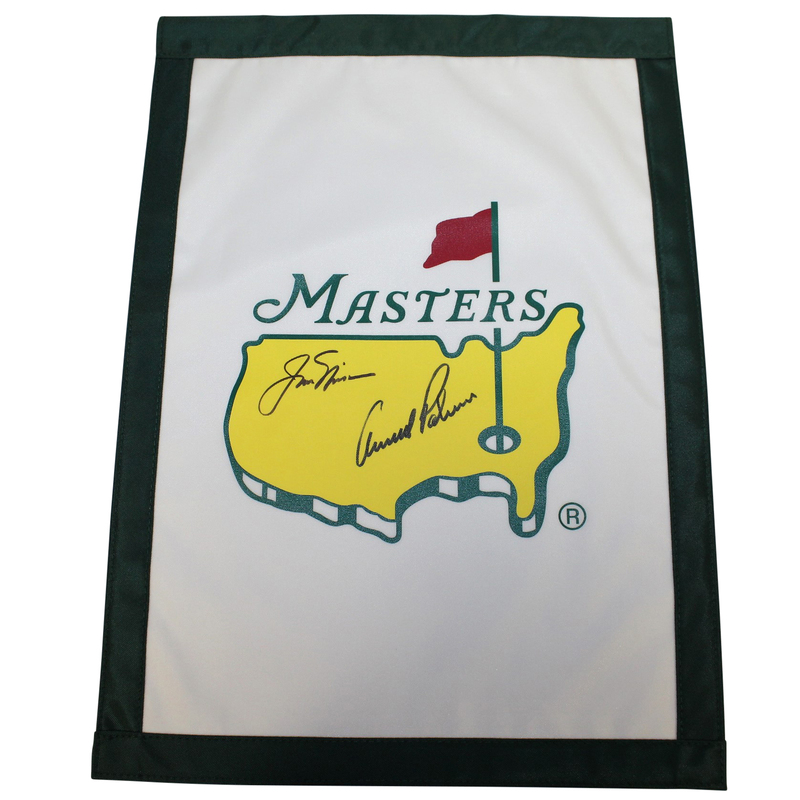 The pair combined to win 10 Masters tournaments among their 25 total Major victories. 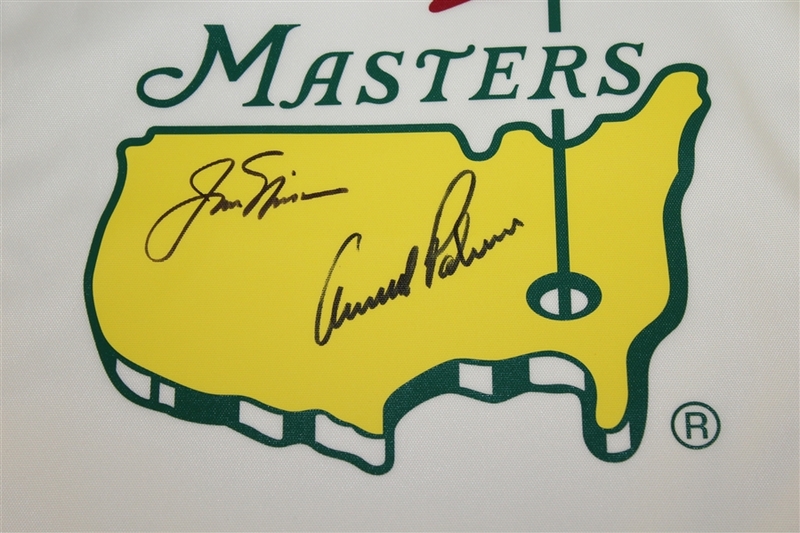 Palmer and Nicklaus were the stars of the golden age of golf, when the sport was starting to be televised on a regular basis, and they were a force to be reckoned with. This flag will display very well.